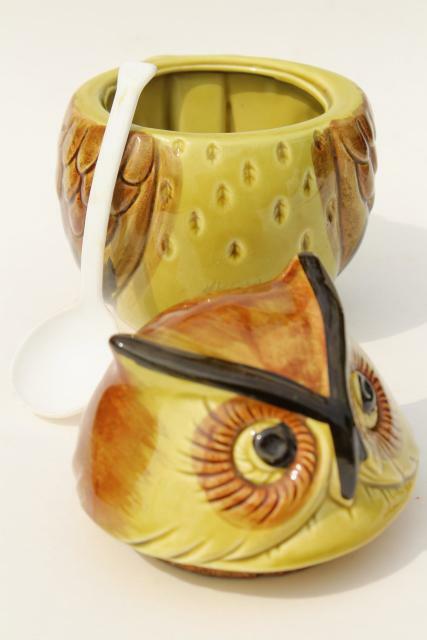 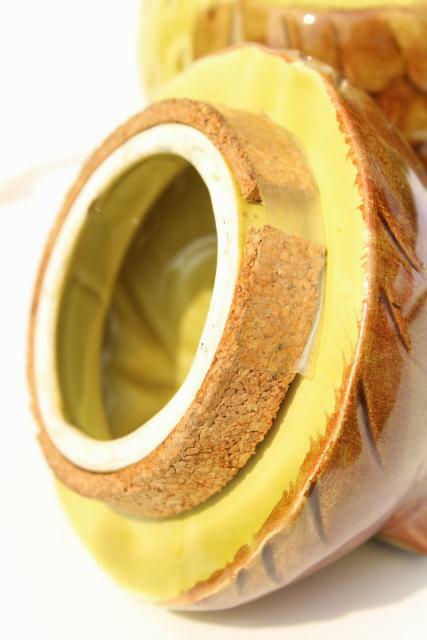 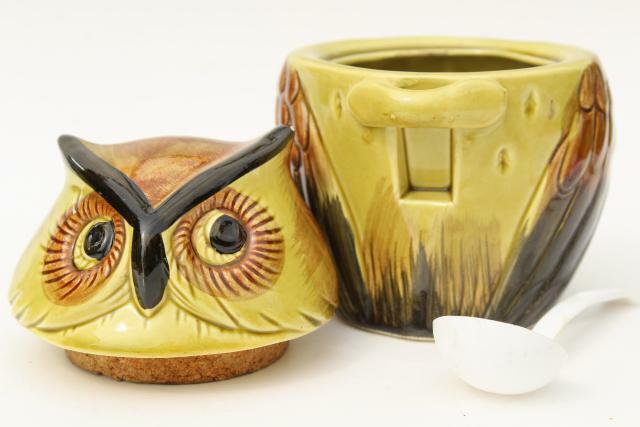 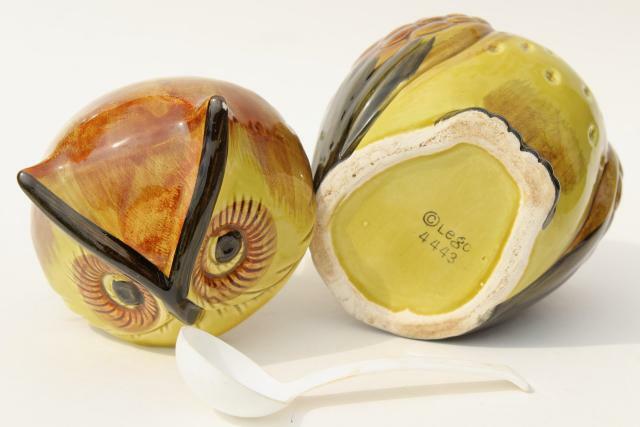 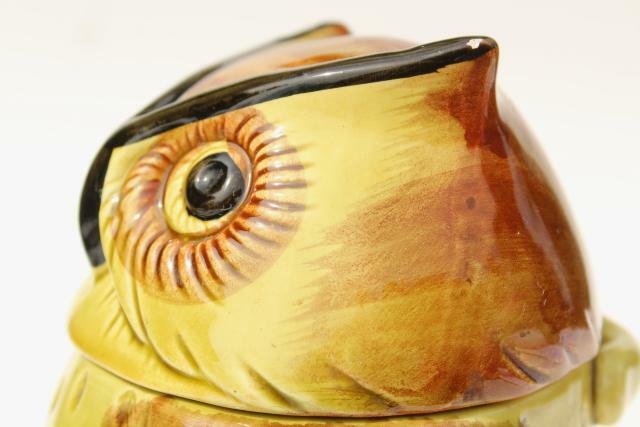 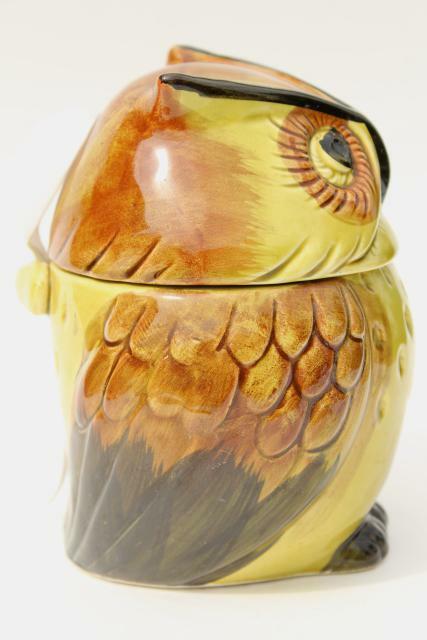 We love this big round owl jam pot - he's a little bit fierce and a lot of cute! 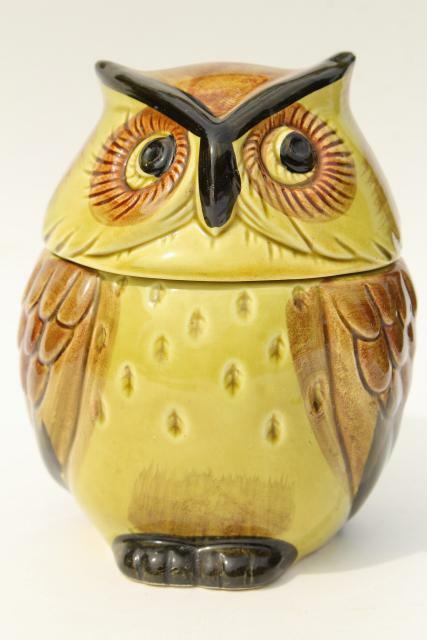 The mark is Lego - Japan, probably 1970s vintage. 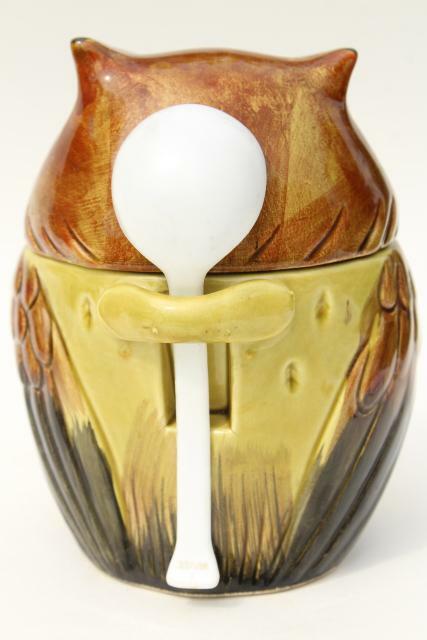 This is about 5" wide x 4" tall, in very good clean condition with only one little paint chip to his one ear. 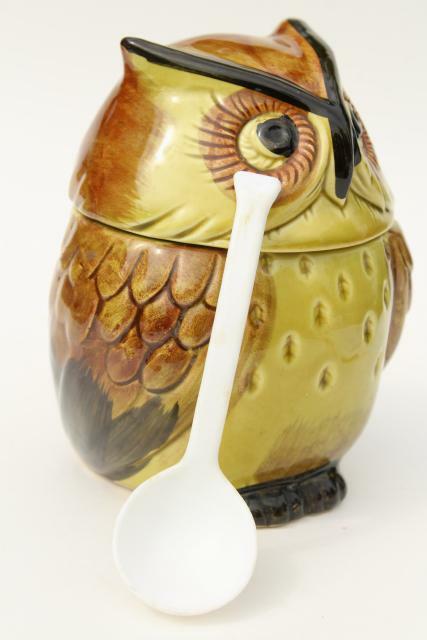 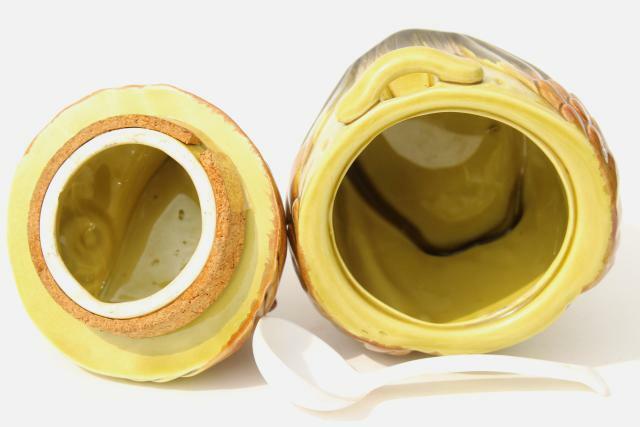 The original plastic spoon is included.